The following text is the transcript by V. S. of Jonathan Bowden’s New Right lecture of February 4, 2012. I want to thank Michèle Renouf for making the recording available. I have spoken with you before about elements of the Soviet Union, a regime which has now passed into the dust, but this time I am going to concentrate on the Soviet gulag. No one knows the number of victims of the Soviet gulag. It’s still indeterminate really. No one can lose their academic career, however, by projecting for a sort of minimum total or a maximum total. I think the thing to look about the Soviet Union and Stalinist oppression in particular is the fact that it dates from the very beginning of the regime. The first day that the Bolsheviks came in . . . And the Bolshevik Revolution was not a social revolution. It was a coup. It was a coup d’etat by the armed wing of the Bolshevik Party that had 9, 10, 11, 12% of the vote, but not any more at that time after the first Duma elections, which had put in a socialist revolutionary, a social democrat in Western terms, called Kerensky. Now, when the Bolsheviks came in they immediately instituted a revolutionary committee for the protection of the state and revolution, which is known as the Cheka. The Cheka began the instrumentality of terror that certainly pre-dates Stalin. There is a Left-wing myth that essentially Stalin is the cause of all the problems, and that, in a sense, Lenin can be regarded as a semi-sacred, secular figure prior to Stalin’s overall rule. Stalin took a long time to consolidate his power within the bureaucracy and gradually chipped away at the Trotskyist bureaucracy and didn’t really obtain complete power inside the Soviet Union until 1928, after which the Left opposition, the Trotskyite faction, was dispensed with, and Trotsky became a Goldstein type figure rather like the figure in George Orwell’s famous novel and confabulation Nineteen Eighty-Four. The camp system was set up initially for the nearest Left opposition to the Bolsheviks. That means Social Democrats, Social Revolutionaries, Kerenskyites, and various Mensheviks were among the first individuals to be put in the camps, but eventually the camps extended out their remit to include all elements of Soviet life. One of the most extraordinary things about the camp infrastructure was that it paralleled the existence of mainstream Soviet society. Nobody knows how many people passed through the camps. The revisionist or lower estimate is about 16 to 17 million. The higher estimate is about 28 million. You’re dealing with a society the best part of 200 million, so you see that the gulag archipelago, as Solzhenitsyn called it, serves as an enormous island of reserve population inside the Soviet Union. It’s estimated that perhaps a quarter to a fifth of all male Russian lives were affected by the gulags in one form or another. At the height of the Terror in the 1930s, a man who was late three times for work could be sent to a correctional institution, and a man who was related to somebody who had been sent to a correctional institution could also be put in a camp himself. Many of the designations for how you got to end up in a camp were actually quite irrational, such as being related to a thought criminal or related to an oppositionalist or related to somebody in another national group that needed to be purged as part of the rolling series of purges, national, ethnic, sociological, class-based, peasant-oriented, that occurred throughout the 1930s. The Terror, of course, also extended into the party itself, into the inner bureaucracy itself, into the military, into the infrastructure of the state, into the army most especially and even amongst the executioners. Nobody could be invulnerable in Stalin’s Russia. Only one man, the Iron Man, as he was regarded, the Iron Man of Socialism, was invulnerable from the attacks of the multiple purges that he instituted. Why go down that particular road? The Leninist pattern of atrocity has some logic to it. The basic atrocity was the killing of political opponents and killing of Whites, that’s Russians on the opposition or counter-revolutionary side during the Russian Civil War between about 1917 and 1921. It’s estimated that the Bolsheviks killed maybe 1.5 million prisoners of war and the Whites killed 1.25 million prisoners of war, because both sides killed each other’s prisoners. Indeed, that’s what a lot of the military fighting in the Russian Civil War consisted of. Circumadjacent to the Russian Civil War and its atrocities in relation to troops on troops and troops on civilians was famine and the partial collectivization that Lenin instituted prior to his reversal of this with the famous party congress in 1921. The revolutionary third party congress, part of whose deliberations were concealed and secret and were not revealed until years later when the Soviet Union collapsed. One of the interesting byproducts of the 1921 party congress was the fact that Lenin advocated a tacit alliance with nationalists in Germany in order to bring down the then-nascent Weimar Republic so that they could fight over the spoils later. That’s a deeply non-Leninist and politically incorrect and Machiavellian decision that causes quite a few Leninists considerable problems retrospectively. It also foreshadows, of course, the Nazi-Soviet Pact, which was entered into by both sides to dismember Poland, but also as an alliance of convenience prior to the fact that they knew they were going to fall upon each other at a later date. The deaths from the War of Communists Famine, as it was called in the early 1920s and late teens, is difficult to determine. The BBC puts the figure at 1.5 million, but other figures go up to about 7 million. The total death total for the regime as a whole from 1917 to its virtual collapse in 1990 was 20 million according to the Black Book of Communism and possibly more, but Robert Conquest in his book, The Great Terror, adduces the idea that 20 million persons died from the Stalinist period alone. The mainstream Western equivalent is now disputed and people think the figure of 20 million is too high and was influenced by Cold War propaganda. Alec Nove, who was a professor of Soviet studies at the University of Glasgow, a rather fellow traveling and Sovietphilic group of historians, but they estimated the death total for the Stalinist regime at 10 to 12 million, which is hardly too revisionist but was widely regarded as such at the time. Many mainstream Western historians now believe that this figure is actually closer to the truth. What I tend to do in relation to all these figures is to give a range of figures. The truth is that no one will entirely know. When the KGB archives were opened up at the Lubyanka in the 1990s, during a very confused period under Yeltsin, the figures that the NKVD, a forerunner of the bureaucracy known as the KGB later on, preserved tend to be in the middle range of historical variables. In other words, KGB and security organ figures for those who perished in the camps were largely halfway between the minimal, or revisionist figures, that were spread on the whole by more Sovietphilic elements in the West and the exterminationist figures, if we may call them that, which were largely pushed by ultra-conservatives and Right-wing anti-communists and those who would be regarded as Cold War warriors. So, in a strange way, the truth seemed to be somewhere in the middle. But there are many mainstream historians who do not accept the KGB’s figures for those who suffered and died. The Stalinist Terror after 1928-29 when Stalin gained an iron grip upon the whole of the Soviet bureaucracy, basically falls into various waves. All the time throughout this period, certain people who were regarded as refractory or socially dissentient were sent to camps, but there were periods of acceleration and there were periods of deceleration throughout this entire period. The problem that Communism had was that it was a total answer to human possibility, but what do you do with all of those people who don’t fit into the total answer to human possibility? An enormous swathe of traditional and religious believers of one sort or another did not find their way into the then-current Soviet utopia. You had large criminal underclasses in all of the major cities and, to a lesser extent, in the rural areas. 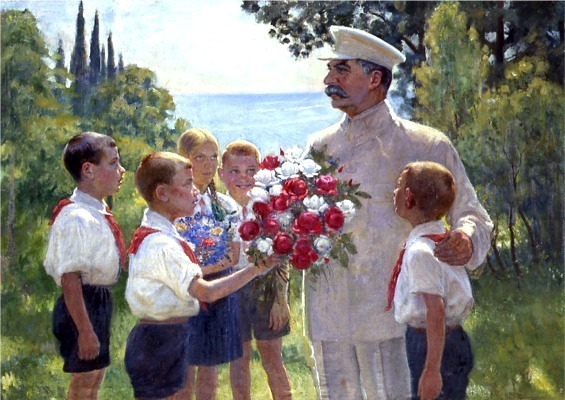 You had refractory levels of peasants collectively known by the system as kulaks who were very, very resistant to the idea that their status, namely their tiny individual holding, allotment, quasi-farm, might well be taken away from them. This class would be highly resistant to the doctrine of collectivization of agriculture that was spread in the Soviet Union in the late 1920s and early to mid-1930s. The prospect of de-kulakization, as it was called in the ideology, terrified much of the upper strata of the peasantry, and it is no exaggeration to say that Stalin’s bureaucracy declared war on the upper tier of the peasantry and regarded it as such in its own propaganda. The number of kulaks who suffered is anywhere between 3 to 5 to 8 million. Large numbers were sent to camps and sent to camps all over Eurasia and all over the deepest Soviet Union. Many of these camps, despite 50 years of Cold War propaganda, are still not known in the West. The most notorious camp is probably Kolyma, which in zek (prisoner) history was regarded as the most extreme of all of the isolation camps. In these camps, people were basically given a ration of a quarter of a cabbage and some gruel or porridge every day and would have to work a 16 hour shift in biting conditions of extreme Arctic temperature guarded by NKVD officers with light machine guns and dogs. There were escapes, and there were rebellions in certain camps. Certain camps were closed down, and certain individuals, upwards of 3 million of them, were inducted into the Red Army from the camp system when Nazi Germany invaded the Soviet Union in the early 1940s. So, there was lots of displacement, and there was lots of movement. The camps were essentially dynamic rather than static. Prison tends to be very static in most societies whereas the camps were highly fluid in terms of their in-take and out-take. A large number of people served short sentences in the camps and were then released. It was as if they came to be associated with a revolutionary dynamic which was existing in the society as a whole. There is no doubt that Stalin’s psychopathological personality had an enormous degree to do with the extension and remit of the camp system. Before he took over and clamped down on all aspects of Soviet life, the camps were much more rudimentary, much smaller, much more finite and seemed keyed into certain economic prospects that relate to normal imprisonment. After the Stalinist experience of the early ’30s, the number of people flushed down the sewage system of the camp structure, as Solzhenitsyn refers to it in the beginning of the first volume of The Gulag Archipelago, increased exponentially. The purpose of the camps was to inculcate the values of socialist man, and these were being inculcated through extreme hard labor of a sort that was basically, for a man who wasn’t in the peak of physical fitness when he was admitted to the camps and wasn’t suffering from a prior disease, survival was just about possible. But for anyone who tipped under that particular score or threshold — he was suffering from a particular illness, had a generic complaint, was slightly too elderly, was relatively infirm or unfit — the camps in many ways encoded a death sentence. The number of people who died in the camps is still indeterminate. During the course of this discussion, I will look at the range of figures which are available. Why did the Communist system under Stalin do this when it is not entirely necessary for it to do? Why did the Maoist system under Mao Zedong in Communist China ape the Stalinist system to a considerable degree. Even in today’s China there are large labor camps and prison camps which are screened from the rest of the world despite the open access to many cities as China invests in a high-tech capitalism in order to power its new 21st-century super-power status. Western thermal imaging from satellites above the heavens shows quite clearly the existence of large-scale mass camps in China, and to this day it is not entirely clear how many Chinese are incarcerated in these camps. The more realistic figure is 600,000. The less realistic, more fanciful figure is 6,000,000. But the range of figures that are adduced in this respect are always slightly unbelievable. This is why when very Christian conservative and anti-Bolshevik sources of opinion in the Western world began trumpeting the scale of Soviet atrocity from the early 1920s onwards they were widely disbelieved outside their own circles. Partly because the numbers involved appeared to be unbelievable. But when you bear in mind there was no prior codification of human or civil rights, there was no rights of habeas corpus in law, and there was also a complete control by the state of almost every aspect of an individual’s life from cradle to grave, the prospect of being incarcerated in the gulag in the operating camp system was an ever present reality to anyone who lived in the Soviet Union in the 1920s, 1930s, and 1940s. It is also interesting to point out that the thaw begins immediately after Stalin dies. It is as if, in a system as beholden to sort of Byzantine power intrigues as that, the top man is crucial. When he goes, the entire timber and caliber of the system didn’t collapse, but altered radically. Khrushchev was once asked, “Why did you remain silent in the Politburo? Why did you do nothing while all of these events were occurring?” And he just responded that everyone was terrified. Everyone was terrified and was looking over their own shoulder, because every remark could be used against you in the manner that everyone was an auxiliary NKVD or OGPU spy, and you never could trust anyone including people in your own families. This is widely believed to be the system that exists in North Korea where if somebody sins against the regime, the family as a whole is collectively punished. There was this concept in the 1930s in the Soviet Union of the unperson and the ex-people. People were described as ex-people and were decanted into the camp system. There are many famous photographs of high schools and Bolshevik dignitary parties and even just social events where the shoulders and heads of various people are cut out of all sorts of obligatory photographs. These photos would then be put on display. There wasn’t a system in which it was denied that these people had given up civic dignity or been otherwise disposed of. It was admitted that they had once existed, but they had ceased to exist within the socialist project. There’s also a degree to which the Terror could also devour its own children. No one in the party was safe, no one within the inner party was safe, certainly during the events of 1936 – 1938. No one in the party or army was safe. No one even among the executioners and torturers was safe. This was also proved by the ethnic games that Stalin used to play in relation to different parts of the Soviet Union where he would play off one group against another. One classic example is he used Ashkenazi Jews for some of the dirtiest work in the camps as commanders and then to turn around and say that they’d had an excess of revolutionary zeal for which they should be punished, and the system would attack in a more chauvinistic and Russian direction, and such individuals would be purged and replaced by others who only got those posts because they’d been involved in a prior purge of those who were themselves purgers. And so it went on and on and on. In some ways, what is happening is a psychological disturbance of almost everybody. There’s nobody in the society that can rest easy. There’s nobody in the society that can rest on their laurels. Even to hide among the executioners and torturers is no guarantee that one won’t be purged at a later date. In the Red Army, of course, traditionally, in the Russian Civil War and the wars after it, commissars would stand eight paces or its equivalent behind the front line. Anyone who retreated on your own side would be killed. Tens of thousands of Soviet troops were killed at Stalingrad for retreating, and they would be killed by their own commissariat and the NKVD troops and the lead forces that would exist behind them. So, the Soviet Union often went to war against its own army in order to prop it up in terms of total victory. If they fled from the Germans they would be killed by their own side. This is why Stalin got an enormous number of Russians who fought on the German side as a paradox. Of course, if they were ever captured they’d either immediately be put back in punishment battalions right at the front of the line or they themselves would be exterminated. The extraordinarily high death total in the old Soviet wars, particularly in the Great Patriotic War as the Second World War was called in the Soviet Union, is partly because of the inflictment of mass torment on one’s own side. In a talk at the last meeting that I attended, we had the idea that Soviet pilots bombed Red Army prison camps behind German lines during the early months of the German invasion of the greater Soviet Union. These events certainly happened because the first ideology of Stalinist-Communism was to protect your own base. Therefore, men who surrendered needed to be punished in accordance with certain primal Soviet attitudes so that others would not take from their example and they would fight to the last man way into greater Russian and Soviet territory. This idea that you purge your own core first so that your vanguard is pure before you go out and attack the enemy was a key part of Stalinist ideology. This also made slight sense when one interprets the fact that people could be held collectively responsible for anti-socialist agitation and propaganda. So, if you were found guilty everyone in this room would be guilty through you. Everyone you knew socially would share in that guilt, and all family members and extended family members could also be purged subsequently and share that guilt as well. So, you have this strange ramifying and interconnected concept of collective guilt often for transgressions and crimes which were themselves imaginary. The bulk of the people who were interned in the camps were in no ways enemies of the regime. There was a quota of dissidents, there was a quota of old czarists, there was a quota of all sorts of low-level officials and so on who had different views, but the bulk of people were ordinary Soviet citizens who were just taken up by the meat grinder, as ordinary Russians called this system, and were laid waste within it prior to their decanting back into the society as aged husks and wrecks or their death in captivity in the Siberian outer wastes. The system also seemed quite irrational. Many enormous projects of public improvement, such as dams and dikes and civic adornments, were built by slave labor from the concentration camps, from the gulag proper. And yet, many of these were white elephants that have later been discarded in accordance with Russian process. It was almost as if you have great big motorway half sections built into the distance which were never completed and then just like in some J. G. Ballard novel just exist as structures of their own which never progressed and has left strange mausoleums to a previous slightly delinquent form of planet which they are the arbitrary representative of. A lot of these gulag projects never went anywhere and served no ultimate purpose but the methodology of the gulag itself which was to use up more and more prisoners and was to take more and more individuals from out of socialist life. Why was it done? I think it’s partly the methodology of Communism itself. The imperfectability of man is so blatant that an attempt to create an allegedly perfect society will [inaudible] very early on. What the Soviet Union did, instead of giving up on its project and just installing a regime in perpetuity, it tried to change the nature of man by introducing pressure onto the citizenry. You often have in science fiction films the mythology whereby the walls creep in on somebody and the floor and the ceiling creep down on them, and that was what the Soviet Union was doing to the private citizen, particularly between about 1931/32 and 1953/54. Pressure was being applied to the psychology of ordinary Soviet citizens to get them to behave in different ways. It was also a form of action. The regime preached action at all possible opportunities as if inaction itself was a sort of reactionary and almost religious counter-system complaint and action meant acting on the human scale, acting to the degree to which the individual must serve the interests of the state. Stalin had no concept of individual life at all. He believed that all individuals essentially were there to serve the state, and the state was there to serve the socialist ideal. The image that we have of Stalin has changed to a large degree in the last 20 years. Most Western propaganda accepted the Trotskyist evaluation of Stalin as a teenage boy in boots with a mustache, an overgrown sadistic psychopath who launched the Soviet Union into a disastrous course. This has only been re-evaluated in the last 20 years with major books written by Simon Sebag Montefiore and others about the young Stalin and his early caucus and his later court, The Court of the Red Tsar, as it was widely termed at the time, something Stalin never entirely repudiated. In Eisenstein’s film, Ivan the Terrible, which of course is metaphorically a comment on the Stalinist era, Ivan is depicted as a great spider at the heart of Russia, particularly in Ivan the Terrible, Part II that was later banned in the Soviet Union, although Tsar Stalin had a private viewing because he rather liked the image of Ivan upon whom he identified himself. Ivan, of course, terrorized and decimated the boyars, the nobles, of old Russia and began the centralization of the Russian state and also made Russia feared and powerful. All of things that Stalin implicitly identified with. There’s a great moment in the film where Ivan, bearded, dances that sort of Russian dance where you go down on your haunches and you kick your heels. He’s all dressed in black and he dances before the boyars in a great, powerful, triumphant vein almost like a big, dark spider — паук I think it’s called in Russian — whereby you leap and dance about. Паук was the name the KGB gave to Solzhenitsyn later on for revealing the true extent of the camp system. It’s important to realize that in an era where all media was closed, and there was no internet, way into the 1960s people only had their personal memories of the gulag. Almost everyone knew it existed, because it had touched almost every family in Russia, Greater Russia and the Soviet Union. However, most people were undecided about what they could talk about, didn’t wish to talk about it to outsiders, and would rarely talk about it even when people who were members of their own family returned from the camps. So, Solzhenitsyn’s books came as a revelation and were deeply damaging to the regime. When the Nobel laureate for literature, Doris Lessing, said that Aleksandr Solzhenitsyn caused the death of an empire she is exaggerating and engaging in literary hyperbole, but there is a degree to which she has also grasped a salient truth. In Russia, where politicians are accorded scant respect unless they’re feared, writers are seen as beacons of truthfulness and repositories of popular wisdom. Solzhenitsyn’s book, One Day in the Life of Ivan Denisovich, which follows an average camp day from beginning to end with all its sort of sordidness and boredom and cruelty and coldness and just the dogged human desire to survive this pretty perishing and terrible experience, was allowed by a journal called New World (Novy Mir), which was a reformist and “liberal” journal within the Communist matrix. The decision to publish went to Khrushchev himself, who allowed it so long as there were a few lines introduced in the story condemning Ukrainian nationalism. A point which we’ll come onto in a little while. The Gulag Archipelago by Solzhenitsyn, which was the main statement of alternative opposition to the camps that came out of them, appeared in three volumes, later condensed into two, and later in the West condensed into one. It’s interesting to note that Solzhenitsyn was highly persecuted by the KGB after he left Russia. Something which is not widely known in the West and indeed is slightly, exasperatingly misinterpreted. He initially lived in Switzerland, but fled from Switzerland due to KGB harassment, particularly ordered by Andropov. He later settled in Vermont in the United States in a private villa with fencing and barbed wire all around. Every day the KGB used to send him and his agent in Switzerland pictures of mutilations and dead bodies and cancer cells in the human body. Don’t forget that Solzhenitsyn had survived cancer and turned it back as his novel, partly autobiographical, Cancer Ward, attests. These were moments of psychological warfare which the KGB used against Solzhenitsyn, who they regarded as a very dangerous man because writers in the Russian tradition are accorded a heroic and transvaluating status that Western writers do not have. This is why Solzhenitsyn became, for a period, the most dangerous man. They never assassinated him because they knew they would be blamed for it and in the end the texts were written and they were out there. The irony is that under Putin, Solzhenitsyn’s key texts are integrated into the Russian school syllabus and are now taught to people. Maybe that will deaden their impact over time as often happens when people are put on the school syllabus. But it’s an interesting transformation. Solzhenitsyn, of course, went from the most dissident of dissidents to being a mild supporter of the Putin government. Something that shocked other dissidents and liberals in the ex-Soviet Union. Solzhenitsyn, of course, was never a liberal, but was a conservative nationalist in Russian terms, a Christian Orthodox conservative nationalist, essentially. He wasn’t liked when he came to the West either, because his diatribes against what he termed the decadence and materialism of Western life. After a while, the KGB ceased to persecute Solzhenitsyn, because they believed he had become so unpopular in the United States because of his denunciation of what passed for American popular culture. They interpreted his isolation in modern America as partly a repudiation of him and his views by modern America and they were not entirely incorrect. Solzhenitsyn resembled a biblical Old Testament prophet anyway. Bearded, lashing his audience with invective and splenetic rage. Solzhenitsyn, in some ways, was part of a great Orthodox tradition, of outsiders and religious teachers who would march into the innermost enclave and lay down the law as to what should occur. He was also quite unpopular when he returned to Russia, although he was given a television program of his own for a while which was repeatedly unwatched. A large number of the generations that suffered during the massive terrors that convulsed the society from the early ’20s until the mid-’50s don’t want to talk about it, and even to this day there have been no reparations paid, there have been no festivals of remembrance, except for a few mostly as a result of private money and donations and extracurricular activities taken on by human rights groups and university departments, there is no national day for the victims of any Soviet-Communist atrocity no matter how many one wishes to look at. You look at the de-kulakization, you look at the Ukrainian Famine or Holodomor, you look at the famine that occurred in Kazakhstan and Greater Russia circumadjacent to the Ukrainian terror famine, you look at the mass shootings and the killing of upwards of a million alleged political dissidents in 1937/38 at the high point of the Terror, what Robert Conquest in his book called “the Great Terror,” you look at the enormous waves of prisoners and others who were inducted into the camp system during the war, and in 1948 when the Cold War began and there was an immediate closing of the door inside the Soviet Union in relation to the relative thaw that had occurred a couple of years previously after the victory of the Axis powers when Stalin felt more certain of his ground and Europe was half under the control of the Red Army. Now, there’s also a degree to which the Terror was extended into Soviet satellite states, such as Mongolia, and also took up a disconnected sampling in Eastern and Greater Europe. None of the systems in Eastern Europe, even Ceaușescu’s or Tito’s which were slightly outside the Soviet bloc, registered on the Richter scale of Stalin’s atrocity and yet there is a degree to which all of the Communist regimes in Poland under Gomułka from 1948 and elsewhere mirrored what was going on in the Soviet Union. All of them had their camps, all of them had their dissidents, all of them used psychiatry as a political weapon, although that largely occurred after Stalin. Although the Doctor’s Plot at the end of Stalin’s life was beginning to presage that. The waves of individuals incarcerated in the camp system didn’t let up really until the dictator’s death. After that there’s a stasis in the system and the system begins to grind down, although it is not until the 1990s that major political reparations are accorded. The Communist Party, of course, was banned for a period under Yeltsin and was tried largely by the Russian media in absentia for many crimes, which were then subsequently forgotten about. During the chaotic Yeltsin period, the most liberal parts of the Russian polity, the bloc known as Yabloko, wished to make sure that the restitution of the past and the victims wasn’t forgotten, but because of the economic chaos and extreme hardship during the 1990s and because of the failure of the big bank capitalism that the Yeltsin clique tried to impose those ideas became discredited with the Yeltsin circus, and Putin’s more authoritarian, Kremlin oriented type of politics that replaced the Yeltsin years has largely put a halter on the culture of fear, trembling, and remembrance which has convulsed post-war Germany, for example. There is no comparison whatsoever. Stalin is still slightly praised in the contemporary Russian context as a great Russian war leader, and the Russian leadership is determined not to engage in what you might call the rhetoric of self-hatred. Because the irony is that nearly all of these atrocities, even when they were inflicted upon the Ukrainian peasants, were internal. After all, they were all citizens of the Soviet Union and the bulk of the victims ultimately were Russians, particularly in the greater gulag system, both of special and of general camps. So, this was a war that was inflicted by the Soviet elite and their attendant military and security bureaucracies on the Russian and Greater Russian and Soviet populations as well as certain more militant ethnic minorities. It’s not widely known that all the Tatars, for example, were all depopulated and shoved into Siberia in one go in cattle trucks. As were all the Chechens, who were transplanted in one go from Chechnya to Siberia. They made their way back almost without state edict after Stalin died. Indeed, there’s a day of remembrance in Chechnya where everyone wears a black armband and black flags fly from buildings to attest to the depopulation of Chechnya. Nobody knows how many Chechens died. The figure of 350,000 is adduced in Chechen nationalist circles. The population of Greater Russia found itself totally beholden to state power in a manner which is difficult for people who live in Western democracies to understand. The individual had no rights and no recourse to any state institution. There was no court of appeal and there was no legal process, although a sort of trial would be gone through. In the 16 to 17 million that passed through, on the lower estimates of the Soviet camp system under Stalin, from about 1929 until 1953, only about 3 to 4 million actually had a conviction, but these would be convictions for an enemy conversation, conversation with a class enemy, conversation pursuant to a lapse of dignity of the socialist republic. Solzhenitsyn was given 8 years in a prison labor camp despite having an exemplary war record in the artillery and despite at that time being a relatively form Marxist-Leninist in terms of personal belief having lost the Christianity of his early phase. It’s very important to realize about Solzhenitsyn that Solzhenitsyn was a believer who turned on the system in relation to the way in which he had been treated as is quite understandable. He wrote several letters to a colleague behind the front describing Stalin as the chief bandit, which was a term of relatively mild scorn and abuse that was used and also conflated with his Georgian and possibly Ossetian origins. There’s a dispute about this. Sometimes Stalin described himself as an Ossetian and sometimes he described himself as a Georgian. But, of course, Ossetia is part of Georgia as Georgians claim. Many Ossetians don’t want to be a part of Georgia, of course, and this is an on-running dispute with Russia that’s flared up recently, but it’s always part of these disputes that exist when peoples live amongst each other and claim loyalty to a much larger country that lies on that country’s borders. Stalin had a madcap attitude towards the exercision of political power. That much is certain. At times, Stalin could be warm and bucolic, at times coldly murderous. It’s well known that in the trials of the Old Bolsheviks, for example, during the Great Terror in 1937-1938, Stalin had a booth constructed for himself at the top of the court with a glass screen that was frosted that he could shove either way and look down into the body of the court to see the Old Bolsheviks, his old colleagues from the revolutionary Leninist years being punished and done to death. It was widely regarded that a light would go on in this little booth at the top of the court when a judgment from the people’s court with Vyshinsky, the Soviet state prosecutor, screaming for the death penalty or execution or for torture before execution or for gulag followed by torture followed by execution. These were the options that would be given to various unfortunates who were in the dock. It was always said that Stalin looked down upon this with a cold, egregious look of an ultimate avenger. Stalin never forgot a slight and never forgot a word out of place. And in politics there are lots of slights and lots of words out of place. Anyone who had ever, on his way up to the top of the greasy pole, slighted Stalin in any way, shape or form would be remembered and would be dealt a crippling blow at a later date. This is why he even came to purge his own purgers during the logic of this sort of socialist pyrotechnicon whereby people would be ostracized, integrated again, shot, then their families would be put in the gulag, then they would be released. All was part of an endless cycle of unsettling and desensitizing people in relation to the organs of state power. When Orwell wrote Nineteen Eighty-Four and Samizdat versions of it flourished in Eastern Europe and further afield in the Soviet Union from the 1950s, it was regarded as extraordinary that a Western writer should be so prescient about what the psychologically oppressive lifestyle was like in the Soviet Union, particularly under harsh Stalinist terror. Later, it became a softer, more Brezhnevite, conformist Soviet Union whereby infractions were not punished to the same degree, and the gulag system was allowed to fall, partly through a natural wastage, in its own terms. Stalin was quite possible of embracing a man, with the Russian kisses and all this, and say, “Have him killed.” Just like that to some KGB or NKVD flunky that was nearby. The fact that everybody was on edge in relation to what he would do and what he would not do is part and parcel of the metaphysic of terror, the almost piratical way in which he ran the Soviet state. He would occasionally ring up artists and get them to come, and he would play the piano to them. And lo and behold if anyone said to him that he couldn’t play the piano particularly well. The people in the audience would be Shostakovich, would be Khachaturian, the Armenian composer, and he would play the piano – clunk, clunk, clunk, clunk – and they would have to say, “What a marvelous rendition!” of some Russian folk song he’d given. Talking of folk music, there was a moment where he had almost all of the folk musicians outside of Russia in the Soviet Union shot. Or that was the plan. Folk music was at one madcap moment, in the days of cultural struggle in the early 1930s, described as mad, reactionary music that needs to be purged from the hinterland of the Soviet masses. So, large numbers of folk musicians were gathered, particularly from the Asiatic republics, and they were then all shot. Shostakovich burst into tears when he heard this, although many folk artists survived because they recognized the un-tender-hearted underpinnings to this mobilization of their talents. Stalin regarded the Ukrainian famine as a direct attempt to break the back of the Ukrainian peasantry. The Ukrainian famine is the only event in the Soviet Union which is described by some of the United Nations, particularly the Western powers on the Security Council, as a genocide. If you remember, the Genocide Convention which came in 1949 refers exclusively to crimes which are ethnic, which are racial, which are religious, which are folk oriented and which are an attempt to exterminate a people. Class-based crimes or sociological crimes whereby entire groups might be done to death or exterminated were deliberately excluded, partly because of the presence of the Soviet Union on the Security Council at the time, from the remit of genocide. But the Ukrainian crimes are crimes against a nationality, and this is widely perceived as such in the contemporary Ukraine. In Ukraine, you see a sort of thought criminality in reverse whereby the entire Soviet metaphysic subsequent to the Orange Revolution has been thrown over, and a subculture has emerged of the Holodomor, for example, which is now accepted as a genocide by 27 countries, nearly all of them Western, including the Vatican. This causes a headache for Russia, because until 1990 the Russian organs of what was then the Soviet Union denied the existence of the Ukrainian famine. The Ukrainian famine was a lie spread by fascist perverts and their Western ideological champions. The Ukrainian Communist Party’s central committee admitted to the Ukrainian famine in 1990/1991, but even then they said it was directed against Ukrainians, it was actually a part of a general series of massacres which affected Kazakhstan and Russia as well. That is true. The Western totals for deaths in the famines of the 1930s is 8 million. That is the un-revisionist and un-exterminationist middle ground position. Russia tentatively accepts that this may well be true. President Medvedev caused quite a stir when he stood before the Holodomor victims memorial in Kiev in Ukraine with a whole Russian delegation during a previous period of his presidency, the first major Russian leader ever to do so or ever to accede to Ukraine that a quasi-genocide or an actual genocide had been committed on their territory. The Russian view is that the victims were the victims of inhuman state totalitarianism that was the formation of the Communist Party at that time and were not Russian crimes and cannot be blamed upon Russia, and Russia refuses to pay any reparations in relation to this crime. However, there is a lot more counter-cultural material circulating in Greater Russia now, and there is a much greater awareness of the Holodomor than there has ever been in the past although many Russians are defensive about these crimes, because one of the areas of complicity between victim and violator in relation to Soviet atrocity is that so many people passed through the camps, so many people were involved in the repression, so many people were related to people who were involved in the repression, so many people were related to people who were repressed that it’s an enormous stain in the society. Many people would rather not know about it. The Russian attitude is largely a shrugging of the shoulders that they’re 50 or 60 years on now or more. What can they do about it? And there’s a sort of slight patriotic refusal to engage in an enormous game of blame and recrimination when for many people the collapse of the Soviet Union, the actual implosion and downfall of what appeared to be a totalitarian state at the time is the punishment for all of the crimes that it inflicted. Twenty years on, it’s as if it’s gone down like a slow-motion shot of a building being demolished as it comes down in stages when the engineers occasion an explosion for it to collapse. Most people consider that the Soviet Union has fallen in that way and that draws a red line, if you like, under the past. The Putin administration is Janus-faced. On the one hand, Stalin is praised as a great war leader and super-Russian patriot who saw off the fascists in the Great Patriotic War and laid the foundations for the Russia and Soviet Union that put men into space and so on. But on the other hand, Solzhenitsyn’s texts are allowed on the school syllabus as a reminder to those who suffered under pitiless totalitarianism. So, Russia in its present incarnation is in many ways playing a double game. What they don’t want to do is humiliate themselves before the bar of world history and drag themselves along the ground as if they feel worthless and put upon and pejorated. In some ways it’s quite a clever and slightly patriotic course to blame it all on Soviet Communism, to blame it all on the Iron Man Stalin and to, if you like, withdraw Russian responsibility for what went on. Certainly the Czarist camps that did exist and were run by the Okhrana, the forerunner of its much more ferocious and generalized Soviet examples of state terror, were infinitesimal in comparison to their Soviet counterparts. When Dostoyevsky was sent to Siberia for being involved in a very minor Decembrist flirtation with opposition and he was mock executed – he was stood against a wall and they fired over his head – and he then had to serve a period of imprisonment in what was then essentially a Czarist labor camp in Greater Siberia, out of which he wrote a book called The House of the Dead, which was his first great publication. Again, an example of the literary writer who stands at the bar of history and accords truth and solemnity that it ought to witness. Dostoyevsky is part of that grand tradition of great Russian voices and writers that it seems can’t be stilled and almost have a religious passion accorded to them in Russia, the Soviet Union and now the Russian Federation coming after the Soviet Union. In relation to the Ukrainian famine or Holodomor, which means “terror famine” or “death by famine” or “genocidal famine,” it’s a kind of compound Ukrainian word which is designed to indicate that it was volitional. The Ukrainian sensibility of the present hour, with the possible exception of those Russians who live in Ukraine and take a slightly more revisionist and differentiated view of these events not to deny them but to excuse themselves and their presence as Russians inside Ukraine, is that 7 to 10 million perished in this famine. The Western estimates are different. The West states between 3.5 million and +5.5 million perished in this famine with 3 million dying elsewhere in the Soviet Union of similar famine-related causes. The famine was created by the state. There were geographical and climatic reasons for a famine in Ukraine and elsewhere in the early 1930s, but one has to understand that all of agriculture was collectivized in one fell swoop. All farms were seized. All peasants were forced by the NKVD and Ministry of the Interior Troops into state collectivized farms. People who didn’t go along with this were immediately dispatched to the gulag or shot. There was also a degree to which the state insisted on taking from farms which had been collectivized the bulk of the grain, some of which was exported. Rations were set in Ukraine artificially low. Certainly they were not enough for people who were infirm or in any way ill to survive upon. There’s a degree also to which peasants could be sent to the gulag for the crime of “stealing socialist grain.” This was stealing a particular husk of grain from a silo or from a bin or from a village that had been collectivized, and millions were sent to the gulag for these imagined crimes against Soviet produce whilst the regime, of course, lived in relative luxury, although no one lived in luxurious circumstances even in Stalin’s circle because the hand of fear could always come in at any time and pluck somebody from the golden circle and plunge them into the outer darkness of the gulag or beyond. The KGB as it then was, the NKVD, was organized was organized into various directorates, the internal directorate of which was responsible for the absence of sabotage and the absence of spying and the absence of counter-revolution inside the state socialist republics. It took on an enormous and bloated and bureaucratic form during the year of the Terror to such a degree that most of the statistics which were recorded by the NKVD probably have a degree of truth to them, because the Soviets always wrote everything down. Just as the Katyn forest massacre of the Polish officer corps was ordered by Stalin. Everything was written down. Each member of the Politburo signed the death order, including Khrushchev, because the Soviets had the view that their system would last forever and what they were doing was of unique human importance, and therefore everything that they did needed to be preserved. Rather than hide things away, things were definitely not hidden away in terms of Soviet bureaucracy. That’s when the archives were opened in the 1990s for a brief period under Yeltsin – Putin has largely closed those archives now – much of what occurred was revealed. It appears that in 1937/38 about 1.1 million were shot by the NKVD pursuant of political crimes. These were the mass trials that began with the Old Bolsheviks, who were despised as class traitors, early nationalists, renegade fascistic traitors, anti-Soviet low-lifes, and various forms of un-socialist reprobates. Their shooting paved the way for an enormous clearing out of the Soviet bureaucracy and the army. There are some dissident historians who maintain that the purges stiffened and emboldened the Red Army and enabled them to fight more effectively, but this is an extraordinarily minor view. The basic Western historiographical perspective is that the Red Army was virtually ruined for several years by these purges, had been decapitated at the source, and was no match for the invading Germans. It’s widely believed, of course, that one of the reasons that the Soviet formations at the time of Barbarossa were in the format that they were was they were preparing themselves for an attack on Nazi Germany and were caught unaware by the speed of the German attack, which possibly came 6 to 8 months ahead of what they expected. The rough Soviet tactic, which was to throw as many men into the breach as possible, to retreat and pull heavy industry back into Eurasiatic Russia to bring the Germans in, to rely on winter and partisanship behind the lines to whittle away at the German spearheads and to ultimately reinforce the cities so that they could serve as bridgeheads and blockades that the German Panzer spearheads would break on largely proved to be the winning recipe in relation to the Eastern Front of the Second World War. Now, how far Stalin is directly responsible for directing the war is difficult to imagine, but certainly the development of elite Soviet tanks by the end of the war had a lot to do with the relocation of massive industrial projects in Greater European Russia. Russia is a society that’s gone through immense torment and pain, unlike most Western societies to whom its immediate history cannot really be compared. The Russian sensibility is very, very different from that which prevails in the Western side of the continent and part of the unrecognized sensibility of the modern Russian identity has to do with the gulag and has to do with the gulag archipelago, which remains a sort of albatross around the Greater Russian neck. Many believe that it will take a long time for Russia to come to terms with what happened during the course of these mass killings and mass expulsions. Don’t forget that when all of these was being done Western Communists and liberals believed that this was a doctrine of love, believed that it was a doctrine of human brotherhood, that believed the Soviet Union was a beacon to humanity and a beacon to the world, that it was peace-loving country among the peace-loving peoples of modernity, that it didn’t threaten any of its neighbors, that it was internally at peace with itself. All sorts of Western idiots, as they now appear even in contemporary liberal jargon of our own era, like the Webbs and so on, crowded into the Soviet Union looking at the factories, looking at the plants, even approximating to look at the softest end of the gulag which was prepared for foreign visits and were totally unaware, or seemed to be totally unaware, of this enormous archipelago of internal camps in the frozen tundra and wastes of the inner Soviet Union whereby an enormous amount of sort of mole-like economic activity – much of it with no economic desiderata – was occurring. These people were totally taken in by Soviet propaganda, although many Western journalists who said, “There is no famine in Ukraine, nothing is happening, the Old Bolsheviks were guilty” were actually, like Walter Duranty, paid by the KGB in order to spread this disinformation in Western societies. One of the things that perplexed people for a long time, as a Western social democrat like George Orwell pointed out, was why people confessed to all sorts of crimes at their trials or mock trials that were obviously fake. This is partly the refusal of the liberal mindset to understand the psychopathological reality of such a totalitarian regime. The Old Bolsheviks were told that all of their families would be killed or family members would be tortured before they were killed, the houses that they’d lived in would be blown up, there would be no records of the fact that they’d ever lived and in comparison to what was then offered, that if you sign these documents which say that you’ve contributed to anti-socialist sabotage and to say that you’ve allowed these dissident pamphlets to be published and so on, you yourself might get 10 years in a gulag but your family will be let off. That is the reason that many people signed these affidavits claiming that they’ve committed all sorts of anti-socialist abuse. It’s because people couldn’t put themselves in the position of people who had no cards with which to play, had no defense lawyers in the Western or general meaning of the term. It’s only when you realize that that much of what occurred becomes explicable. Amongst the special camps, 6 million or so in prison there on top of the 16–17 million in the general camps during the Stalinist period, it’s estimated that another 1 million to 1.25 million may have perished, and in the 16–17 million in the general camp system it is estimated that 10% died in the camps, so that’s about 1.6 million. The figure which is adduced now for mass shootings and camp deaths is 4.25 million perished under the raw Stalinist period, 1929 to his death in the early 1950s. However, to that you have to add the famine deaths from the state inculcated famine, which will probably be declared a genocide by the United Nations at some time in the near future. The future of Russia, of course, will determine whether that happens or not. Russia does not regard it as a genocide, but as a human atrocity, because of course on these terms and their definitions and the splits that occur around and between their definitions states rely for their moral purpose in this world. The Turks regard the genocide of the Armenians, as many Westerners call it, at the end of the Great War as to be part of the ongoing struggle, part of the greater violence of the Great War whereas most Western nations now sign up to a discourse embraced by the Californian legislature, the American congress, and the French parliament that this is a genocide. A genocide involves the doctrine of intentionality, that there is prior intent to exterminate, and it is widely believed that it can be proved to be prior determination to exterminate in relation to the Ukrainian famine because of the collecting of Ukrainian grain. Grain was actually stolen from Ukraine and taken into the greater Soviet Union at a time when there was known to be mass starvation. This proves in an a priori way that there was a plan to decimate the Ukrainian peasantry as the basis of Ukrainian nationalism. The irony is that the Soviet Union throughout much of its history always regarded itself as endangered and enfeebled and surrounded by enemies, external and internal, when the system itself to a Western gaze looked impenetrable, permafrost, and totalitarian in its tidiness and ferocity and rigor. Stalin always thought they could lose Ukraine, which given the circumstances of Soviet politics in the 1930s was quite extraordinary. The Stalinist Terror of 1937–1938 involved mass killing in relation to a death of the Soviet party boss. This was Kirov, who died in Leningrad. No one knows whether Kirov was killed on Stalin’s orders as a pretext to the great repression. A lot of Western historians believe that this was indeed the case. There’s an extraordinarily revealing photo of Stalin stood next to Kirov’s byre looking very Russian Orthodox in actual fact, despite this being a secular event, and Stalin is stood next to him and Stalin, for all the world, in this photo looks like a figure from The Godfather. He looks like a Mafioso who’s had a fellow Mafioso done in for internal family reasons, and he’s stood there brooding and looking down on the body in the coffin, because whether he was responsible for it or not, the death of Kirov seemed to “shock” the internal Soviet bureaucracy and terror mechanisms which had not been released to the same degree since the Russian Civil War, the right of the Cheka to basically root around in Soviet society unchecked by any humanist standards whatsoever then became the order of the day. What do we have in the Western world as a record for the Soviet gulag? There is the three volumes of Solzhenitsyn’s The Gulag Archipelago; there’s a book by [Norman Naimark?] called Stalin’s Genocides; there’s the work Gulag by Anne Applebaum; there’s Robert Conquest’s The Great Terror and The Harvest of Sorrow, which concentrates primarily but not exclusively on the Ukrainian famine. There irony is that these are, on the whole, great works. There’s no need for a plethora of other works, although such works now do exist in many Slavic languages including Russian. The lesson I would draw from this is that Left-wing utopianism based on materialism is bound to fail, because the ideals for human conduct which it set were so high that they are insupportable by the biological evidence of human life.